Tony Colucci divides his professional time between counseling businesses and litigating matters on behalf of firm clients. Over more than two decades in private practice, Tony has successfully defended privately held and publicly traded firms as well as governmental entities in a variety of legal matters. In December 2003, Tony successfully defended a firm client (no liability jury verdict) in what became the largest personal injury award in upstate New York. Tony serves as national counsel to the world’s largest aerial work platform manufacturer and regularly appears in courtrooms across the United States. In addition to handling litigated matters, Tony Colucci spends considerable time counseling businesses. 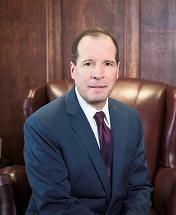 Tony serves as outside general counsel for Western New York's major public health system and largest hospital. In that role, Tony recently negotiated a $98 million settlement of litigation concerning the public funding of this public benefit corporation. In 2008, Tony Colucci was among 148 attorneys nationwide who were recognized for providing superior client service.